Oneika Raymond (Oneika the Traveller) to deliver keynote address to 500 female travel bloggers and industry professionals at Milwaukee summit. 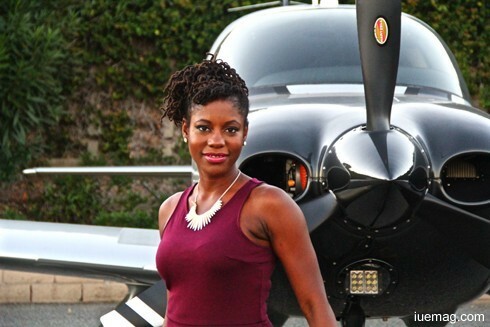 Milwaukee, WI– Wanderful has announced that Oneika Raymond (Oneika the Traveller) will deliver a keynote address at the fourth annual Women in Travel Summit (WITS). Oneika Raymond is the voice behind Oneika the Traveller, an award-winning travel blog dedicated to inspiring, encouraging, and empowering women and people of color to see the world. An international educator, writer, serial expat, and travel junkie, Oneika's passion for discovery is boundless and her adventures abroad have taken her to over 90 countries on six continents. Oneika has written for and been featured in major publications such as Condé Nast Traveler, the BBC, The Huffington Post, Essence, Ebony, National Geographic Traveler, Buzzfeed, and CNN. Approximately 400 attendees joined WITS ’16 this past March in Irvine, California, with speakers from around the world. WITS ’17 expects a turnout of 500 international travel influencers, creators, and industry executives.